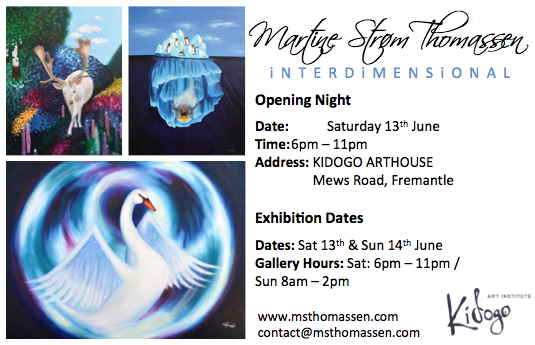 ‘iNTERDiMENSiONAL’ opening night starting at 6pm on the 13th June at Kidogo Arthouse in Fremantle. The exhibition will also be open to the public on Sunday 14th June between 8am and 2pm. Link for the art exhibition on Eventbrite HERE. Link to Facebook event HERE.